The technology has been developed by Liverpool John Moores University, World Wide Fund for Nature and French non-profit HUTAN. Orangutans, like all great apes, build a sleeping nest in trees. 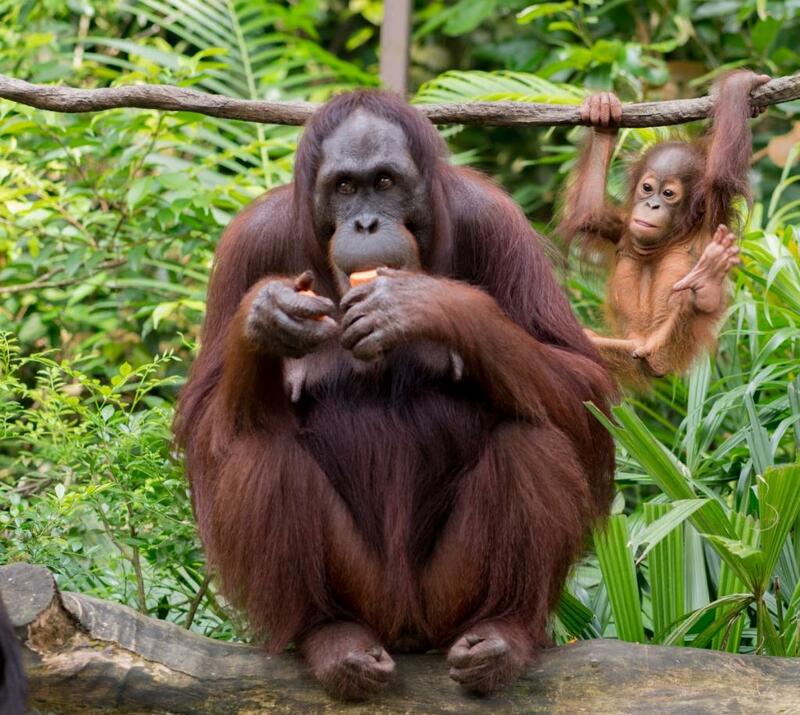 Traditionally, orangutan numbers are estimated by counting these nests from the ground. However, this method is costly and time consuming due to the large areas that need to be surveyed. For the study, the research team combined drone technology with thermal-imaging cameras, which are mostly used by astronomers. They conducted 28 drone flights at two sites over six days and successfully spotted 41 orangutans from the air, all of which were confirmed by ground observers. They were able to spot and classify the animals by using their heat signatures. To distinguish the apes from their surroundings, the researchers performed flights before 9 am or after 7 pm local time. “We tested the technology on orangutans in the dense tropical rainforest of Sabah in Malaysia,” Claire Burke, an astro-ecologist at Liverpool John Moores University, said in a statement. “In thermal images, animals shine in a similar way to stars and galaxies, so we used techniques from astronomy to detect and distinguish them. We were not sure at all whether this would work, but with the thermal-infrared camera we could see the orangutans quite clearly because of their body heat, even during fog or at night,” she added. The researchers feel that this innovative technology could potentially be used to understand and monitor population numbers of orangutans or other endangered primate species. The technology has earlier been tested with spider monkeys in Mexico and riverine rabbits in South Africa and will soon be tested on Lac Alaotra bamboo lemurs in Madagascar. On April 9, 2019, Burke presented her findings at the ‘Unifying Tropical Ecology’ conference in Edinburgh is organised by the British Ecological Society and Society for Tropical Ecology.